Previous PostDo you believe in dinosaurs?Next PostDo 41% of middle aged adults really walk for less than 10 minutes each month? Really interesting. This answered the same age/graduates question I had. 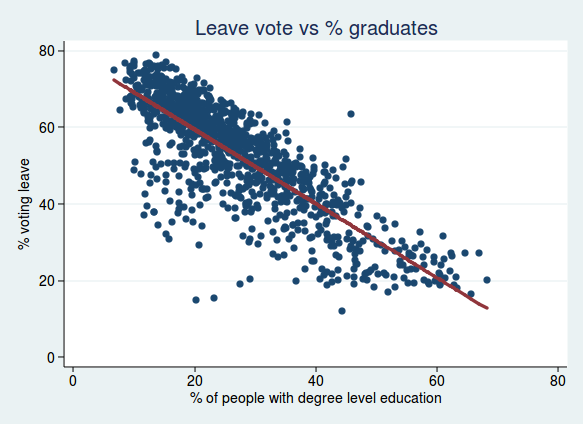 I’m still curious to know why graduates were more likely to vote remain than non-graduates. Only way to find out is to ask them. The arrogant snobs you read on the Indie and Guardian will just say that the Brexiters are simply stupid, misled etc and the fact most graduates supported staying is proves it. It might also be that university graduates are not as bright as they think they are, do not dissect evidence as they should, are led by their teachers and superiors and are prone to groupthink. One interesting analysis was done by the BBC on oe of their podcasts, they interviewed peopel in a brevet area and in a remain area and attitudes were interesting. Fundamentally the brexit people were patriotic and strongly for their local community. The remain interviewees had little sense of community and no sense patriotism – saying things like they didn’t really associate with any country. I read an article recently which suggested that the wealthy and intellectuals tense dot be less patriotic and more prone so identify with others of their own kind (who could as easily be foreign) as they did with their own countrymen. Many who voted brexit feel left behind by what they perceive as globalisation, whereas I suspect retainers embrace and enjoy it. The above is mostly anecdotal rather than statistical. Or you can take the quote “Members of labor unions, and unorganized unskilled workers, will sooner or later realize that their government is not even trying to prevent wages from sinking or to prevent jobs from being exported. Around the same time, they will realize that suburban white-collar workers – themselves desperately afraid of being downsized – are not going to let themselves be taxed to provide social benefits for anyone else. At that point, something will crack. The nonsuburban electorate will decide that the system has failed and start looking for a strongman to vote for, someone willing to assure them that, once he is elected, the smug bureaucrats, tricky lawyers, overpaid bond salesmen, and postmodernist professors will no longer be calling the shots.” and draw your own conclusions about Brexit, populism and trump. From “Achieving our Country” by Richard Rorty, currently its doing the rounds of the American scribblers and no doubt coming to a liberal newspaper near you soon. Interesting. Are you suggesting that perhaps the Remain voters have had their sense of community solidarity educated out of them? Patriotism and nationalism are strongly associated with lower education. Higher educated individuals are less prone not none analytical thought. I’d question “are not going to let themselves be taxed to provide social benefits for anyone else.”. A lot of what I hear from people who’d vote for Brexit is that these people would also vote for parties that promise tax cuts. It’s also the same in America. I’m one of your “white collar workers” and also a Remainer (more so now I’ve seen how negotiations have gone), yet I’d wish that we had a government who did tax more to provide better services for all. I see how it works in Northern Europe, yet our gutter press here decry it as socialism and we’re stuck with Small State Tories. Because there are more graduates in the softer (non-mathematical / non-analytical) subjects than there are in the harder subjects. 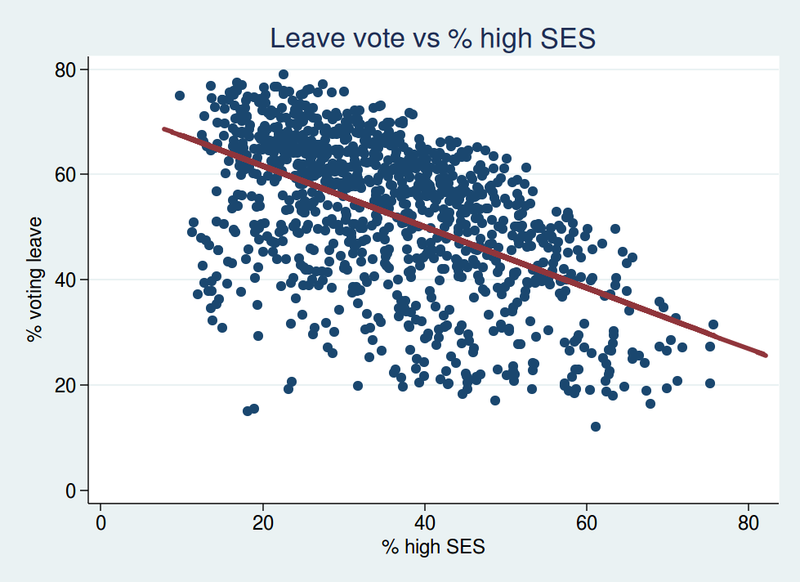 North south divide on remain/leave shows that people engaged in numerical / practical work more able to understand the intricacies of economics than those in emotional roles. I sometimes more cynically wonder if it isn’t because many graduates are a self selecting pool of the credulous with an inflated sense of their own abilities. I say that as a graduate myself. If it was almost any other product I can think of it would be an enormous mis-selling scandal, evidenced by the fact that about half of graduates are working in jobs which don’t require a degree at all. If I’m honest I went to university to make my mother happy and delay getting a proper job. Not something that gives my opinions on geopolitics any particular weight. I’ve always believed that you went to university if your desired career path required you to do so, as in professionals- doctors, vets solicitors and the like not just to toss it off for 3 to 5 years. Because Brexit is/was such an unbelievably stupid idea, it makes sense that people with less qualifications (therefore less ‘likely’ to be intelligent), to vote for it. I suspect that many people around universities were more likely to vote remain simply because universities get lots of money from the EU. What this analysis doesn’t cover is the fact that more young people stayed in education longer than those of the previous generations due to the government policy. In previous generations 10% of the population had degrees, now pushing 50%. It does cover that. It looked at the effects of age and education separately, each adjusted for the other. That in fact was the whole point of doing the analysis in the first place, to adjust for the inter-generational differences in the proportion of graduates. Indeed. Was about the reply with the same..
And, as you say, was the very point of the study. 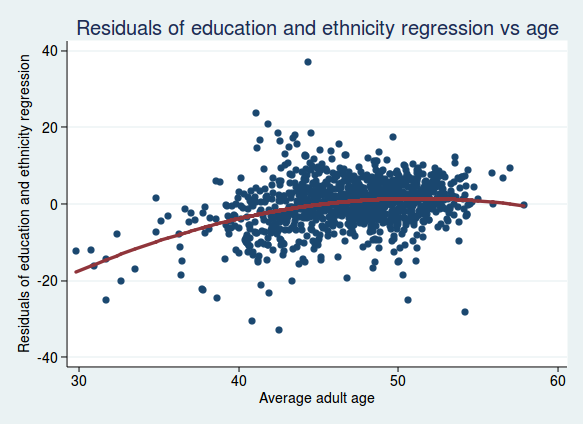 To take the observed correlation between education and a remain vote and check (by eliminating variables like age or ethnicity) to see if the correlation, ha, remained. It did. But he would have known this has he actually read/understood the article. 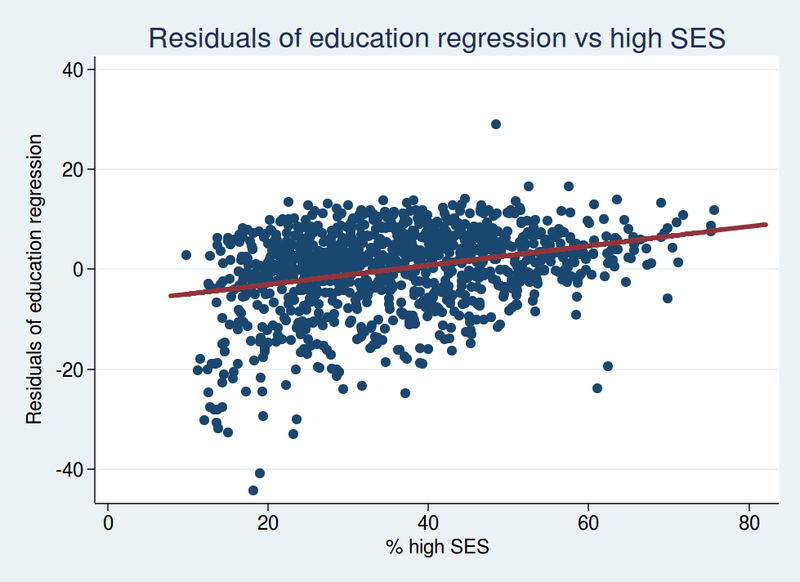 While age and ethnicity and ses group are factors they appear to be significantly of a smaller magnitude to that of education level and independent from it. It maybee and that the younger generation is better educated as a whole than their seniors but that just feeds back into the results of the study rather than undermining it. 18-24 yr olds = 36% Turnout 65+yrs old = 83% Turnout. Do all the 36% have degrees or were they doing a course? Knowing the NUS they will have whipped students to vote, some even more than once if the GE is a guide. How do you imagine the NUS “whips” students to vote? Thank you for this interesting analysis. A couple of things are often forgotten in the “education & brexit” link. Older people are vastly less likely to have gone to University, for many decades it was about 3% of the population. However anyone classified as a “younger” voter will be in a peer group that had more than ten times that portion go on to university. Then there is the question of subjects studied. Older graduates will have studied a relatively narrow range of “traditional” subjects. More recent, “younger”, voters will have been offered subjects that didn’t used to exist. There has also been considerable concern reported by employers that some current graduates are not as good and the subjects they have studied are of dubious value. I have tried to find historical data relating to what subjects were being studied, and by how many students, but I can’t find anything via Google. My suspicion is that “subject studied at higher education” might by a very telling indicator. 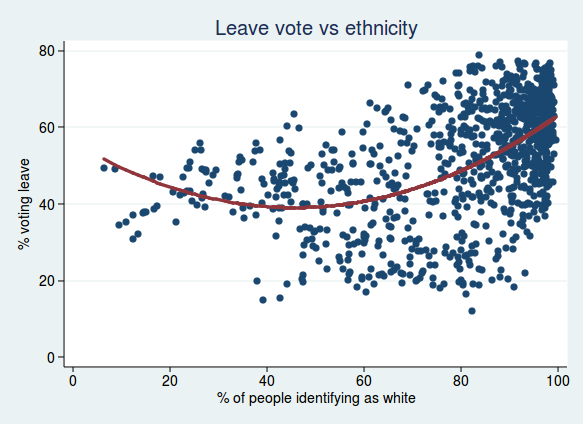 Does the ability to speak another language correlate with voting remain? I would guess so, because any ability in another language facilitates understanding and appreciation of the people who speak that language. That’s a good question, Hugh. 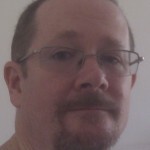 I would also guess the same as you, but I’m not aware of any data that would help to remove the guesswork. At the risk of stating the blindingly obvious, has anyone considered that maybe those who are more educated are also more likely to be objectively right on the question of EU membership? Isn’t education meant to make people better able to process and evaluate information, and thus better able to make rational decisions that benefit rather than harm society? One could argue, I suppose, that education makes people more likely to misinterpret data and more likely to make bad decisions, but in that case we had better close all schools right now before any more harm is caused to our young people. Unfortunately it’s not obvious to idiots… This is why democracy fails, you’re letting EVERYONE vote, and unfortunately most people really aren’t capable of looking at the big picture. One thing not mentioned here is the geographical distribution. There are recurring articles about underachievement of ‘white working class boys’ (in fact ‘White British’ boys on free school meals, so a very limited definition of both ‘white’ and ‘working class’). Separately, schools in coastal towns and some rural locations find it very difficult to recruit teachers – this never seems to be properly linked to exam results though. One reason given for that is that if you’re a couple, and only one of you is a teacher, somewhere like the Isle of Wight probably doesn’t have good job prospects for your partner. Given that coastal and rural areas are predominantly white, people have linked coastal results on whiteness, but it could equally be the coastal-ness (uneven development, transport links etc) that causes the results, and simply correlates with whiteness. So could the correlation with education level and Brexit voting actually be with urbanism or at least partly explained by it? An article I read (which I can’t find, I landed here instead) talked about general education levels impacting voting intention regardless of individual education level (i.e. if I am one of 20% of people educated to 16, in an area where 80% are postgraduate, then I am more likely to vote remain. But if I am one of 20% postgraduate, in an area 80% educated to 16, more likely to vote leave). That’s a great question, Nat, and in fact it’s such a good question that I downloaded the data on urban or rural status of electoral wards and added them to the analysis to see what difference it made. If you look at rural-urban classification alone as a predictor of Brexit voting, then it is much as you’d expect, with rural areas significantly more likely to vote leave than urban ones. 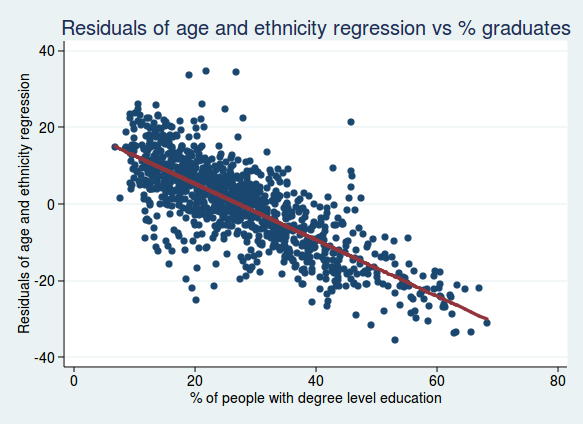 But if you add that into the multivariate analysis, it makes very little difference to the effects of education. 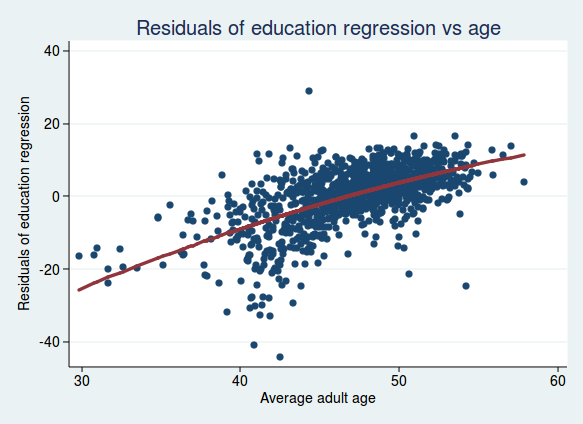 If you look at the regression equation including just education and age, the regression coefficient for education is -0.907. Add in the rural-urban classification, and the coefficient changes to -0.903. So pretty much identical really. 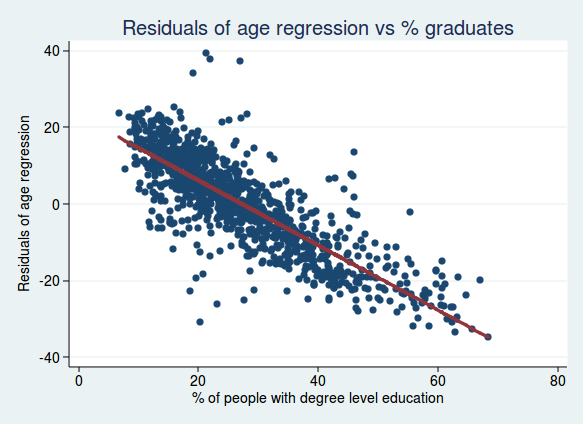 On the other hand, the effect of urban-rural setting is much reduced when you include education in the model with it. So in fact it’s probably true to say that the effect of rural-urban setting is explained to a large extent by the different percentage of graduates in those different areas. Agree with all your comments: it’s simple maths. If those at the bottom of the social scale have £x and you offer them a raise of £y, by means of internationalisation, customs union etc, that’s good – bigger flatscreen TVs, holidays to Magaluf etc. BUT if you offer them a raise of £y, only I t comes accompanied with a large new ‘foreign’ cohort, who are joining you at the same social economic level, or even surpassing you, it’s another matter. Capitalism is about competition, our relative position in the social order, not absolute gains. We have ENOUGH wealth already, all of us; there was a time when a colour TV would have been the height of luxury, and we’d have been utterly satisfied. We can manage without the new gizmos, which won’t be on sale until next year; what we want is to maintain our position in the social order, we don’t wanna fall back, lose out in the competition. So watching Polish people arrive, and double their income to match ours, is intolerable, regardless of a 5% personal wealth gain. This is what Trump realised too didn’t he? Blue collar Americans are MORE concerned by the Chinese rushing up on the inside, than they are by their own wealth changes: in other words, if they had a choice between adding 5% to their annual income, whilst the Chinese double theirs, or losing 5% of theirs whilst the Chinese GDP flatlined, they’d take the latter. Isn’t this why Trump’s protectionism will work? The ones at the bottom of the Social Economic Scale always have the most to lose in relative changes to the social economic scale. Look at the Afrikaans, who ruthlessly defended their position at the bottom of the South African social economic scale from the possibility of black incursion. ‘Patriotism’ does indeed apparently offer a free source of pride for the uneducated. It’s how the right wing elite have exploited the blue collar manpower to fight their wars, accept their injustices etc. I suppose if you destroy the hope of (French-style) revolution, by violent repression (Peterloo etc), you leave the lower classes, the uneducated little choice. The elite stand to benefit most of all of course. Asked why he so fiercely backed Brexit Rupert Murdoch explained: When I go into Downing Street the Prime Minister has to do what I say; when I go into Brussels nobody listens. Michael Caine (forelock-tugging courtier type): I’d rather be a poor master than a rich slave. The same mathematical principle might be applied as for the blue collar: EC membership might bring in say a 5% increase in wealth per annum; but, power for those in Westminster is (seen as) divided by 27 – all the other representatives in the EU Parliament. One might put a value on that (sense of power): if Westminster power=£270, Westminster power as part of a European Union must be divided by 27, to equal £10. Soooo, there we have it, the elite GAIN far more in power by leaving the EU, than they lose in money. Fifty-four times as much. I love your analysis, thank you! I’m a Cambridge University educated businessman who voted Leave but I am a minority in Cambridge where almost everyone I know voted Remain. However, most of the Remain voters I know are academics entirely reliant upon EU funding. My suspicion is that the correlation between voting and education is skewed simply by EU-funded academics voting to Remain in order to keep their funding. In fact, the number of UK graduate students and university staff roughly equals the gap between Leave and Remain votes. Is it possible to take EU funding into account? I was watching a BBC TV show where they give an educational experience to a group of kids for a day or two based on educational practice in the 1890s, 1950s, 60s, 70s and 80s. In the 60s one, they said that whilst 1 in 8 grammar school kids went to University, one in 25,000 secondary modern kids went. 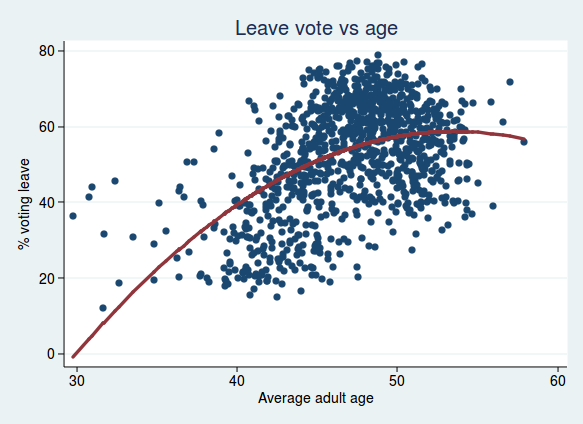 Now, most analysis of brexit have noted the very strong link between HE education and voting in the referendum, and also how that interrelates with age. But I’ve never seen any study which tries to unpick the secondary-modern/grammar split amongst the age cohorts old enough to have exeprienced the 11+ system when it was the dominant trend (ie, up to the mid 70s, so people 55+). I’ve long though that secondary mods are a critical factor in some perverse way, leading to generations of people who were never taught anything like critical reasoning because that wasn’t what the economic system demanded from them.